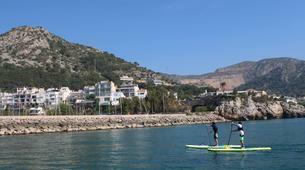 Paddle along the Catalonian coastline at your own pace with SUP rental from Castelldefels Beach near Barcelona. 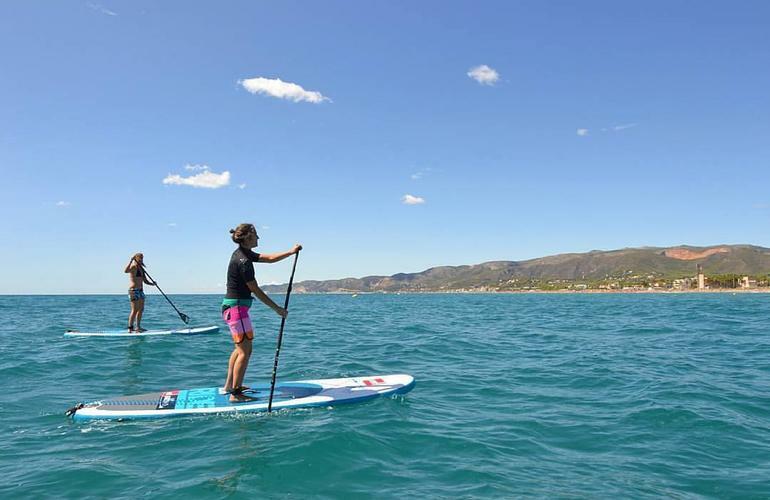 Only 20-minutes from Barcelona, enjoy the scenic charm of this lesser-known part of the shoreline with SUP rental from Castelldefels Beach. 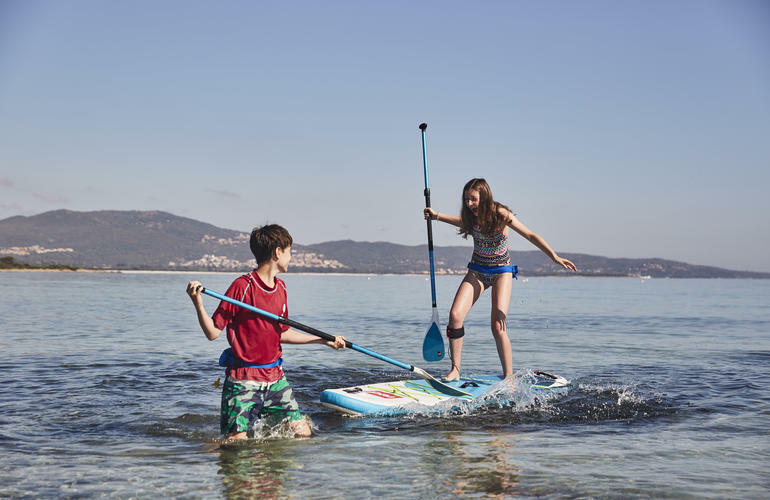 Characterised by its white sandy beaches, calm waters and mountain vistas, paddle towards the horizon with inflatable stand up paddles – the ideal lightweight option for exploring the bay and beyond! Castelldefels Beach is only a 20-minute drive from central Barcelona and 10-minutes from El Prat airport, this 5km beach on the Mediterranean is situated on the Catalonia peninsular and bordered by the Pyrenees inland. A popular water sports destination, Garraf Natural Park extends onto the shoreline with intricate limestone cliffs, caves and bays to explore. 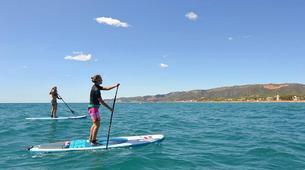 Head down to the activity centre in Castelldefels for SUP rental right off the beach. 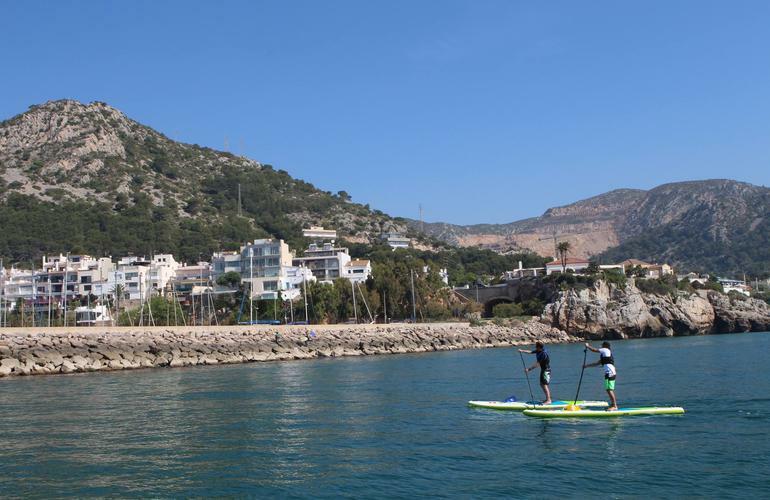 Choose to rent your SUP for 1 hour or 3 hours – and explore the shallow bay or go further afield to Garraf and discover the caves and grottos at low tide. 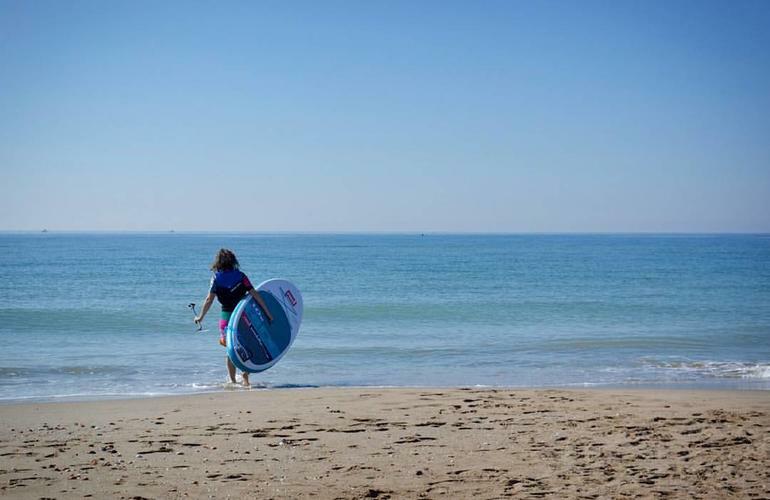 Supplied with a lightweight inflatable SUP, paddle, life vest, dry bag and wetsuit upon request, rental is recommended for touring only (not surfing) - instructors are on hand to give you a little guidance before you head off – but lessons might be better suited if you’ve never used a stand up paddle before. Unlike traditional epoxy boards, inflatable SUPs are lightweight and strict weight limits apply. 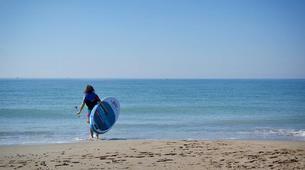 Supplied by Red Paddle Co. boards are distributed according to height and weight and not recommended for wave surfing.